When you experience a problem with your sewer line, fast repairs by professional plumbers are essential to avoid significant damage. Regular sewer service in Elmhurt, IL can help you avoid sewer problems or catch issues in their early stages, before they cause difficulties. Here is what you need to know about taking care of your sewer system and recognizing the signs of an impending sewer problem. One common part of home maintenance people often overlook is their sewer line. This negligence can lead to costly backups and overflows that cause major damage to your home. 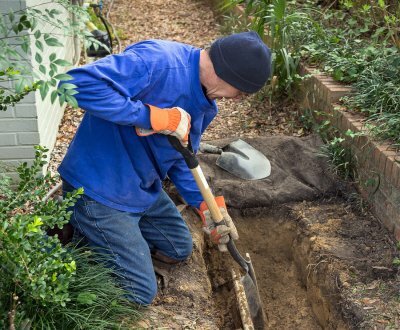 Fortunately, there are things you can do to keep your sewer line in good working order. 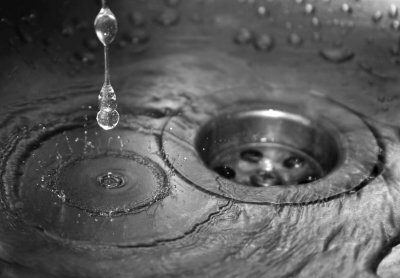 Never pour grease down any drain in your home, including the garbage disposal. If you don’t have a disposal, put drain traps over your drains to keep large pieces of food from falling down. Avoid flushing diapers, sanitary napkins, paper, and wet wipes down your toilet, even if the packaging says it is safe to do so. Don’t plant trees, bushes, or shrubs near your sewer line, as the roots could puncture the line and cause a failure. Regular pipe and drain cleaning can also help. It is important to be aware of the symptoms of a sewer problem so that you can call a plumber as soon as possible. Multiple clogged drains are a major sign that a sewer failure could be coming. Although it is normal for one drain to become clogged, when more than one drain is clogged at the same time, your sewer line could be to blame, especially if drains that are seldom used get clogged. You may also notice water backing up into the drains when you flush the toilet. When you flush your toilet, bubbles may appear in the bowl as water tries to rush past a blockage. Any time your toilets don’t flush as efficiently as they used to and plunging them doesn’t help, your sewer line could be to blame and should be evaluated by a plumber. If you have a basement in your home or business, there is a chance that it could flood at any time. By working with a residential or commercial plumbing company, you can set up a flood control system that will allow you to keep water out of your basement space. McCoy Sewer & Plumbing can help you pick out a flood control system in Elmhurst and install it for you. There are many benefits to having a residential or commercial plumbing company install a flood control system. A flood control system will limit the amount of water damage your basement will sustain in the event of a flood. It will also prevent a sewer backup from affecting your basement. 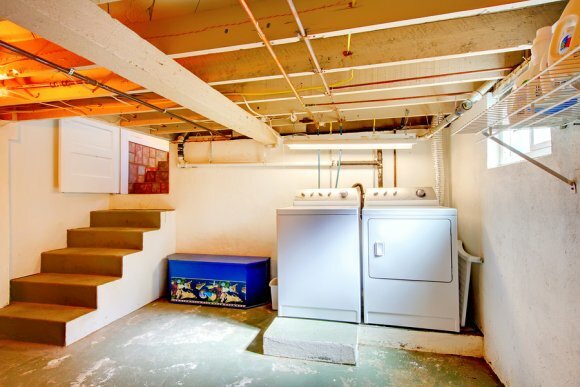 Additionally, the system will allow you to store items in your basement without worrying about them getting wet. When you call on McCoy Sewer & Plumbing, a highly trained plumbing technician will show you the flood control systems available for your needs and guide you to the right choice for your home. Many of us assume that our general plumbing systems will remain in great working order, throughout the years and seasons. Since a plumbing emergency can strike with little warning, it is a good idea to keep the number of a residential plumbing company handy at all times. From burst pipes to a clogged sewer line and more, your emergency plumber can solve a variety of plumbing issues. With the help of an emergency plumber near Elmhurst, you can restore your plumbing back to proper working condition. To help you prepare for the unexpected, here are some essential tips for scheduling emergency plumbing services. When you are seeking an emergency plumber that serves your local community, it is important to do your research before you hire a contractor. For example, you may want to ask your emergency plumber to provide you with reviews or recommendations from past clients. An emergency plumber that comes with great ratings will be sure to offer you top quality plumbing repairs, no matter your plumbing situation. Along with doing your research, it is also a great idea to ask about the licensing that is held by your emergency plumber. In order to provide plumbing repairs, a plumber must have the right type of license from city or county authorities. The licensing process ensures that each plumber has the knowledge and experience needed to provide quality plumbing repairs. By hiring a licensed plumber, you can book your services with confidence. The last situation that you will want to encounter is waiting for your plumber to arrive when a serious emergency strikes your home. As you are considering hiring an emergency plumber, you should be sure to ask the contractor about his response time. Ideally, your emergency plumber will provide a very fast response time to your neighborhood. A faster response time will allow you to address your situation as swiftly as possible. Scheduling plumbing services serving Elmhurst is among the most important decisions that you will make when you purchase a new home. Since there are many emergency plumbing situations that can arise in your home, you will want to have the number of a general plumbing contractor on hand at all times. 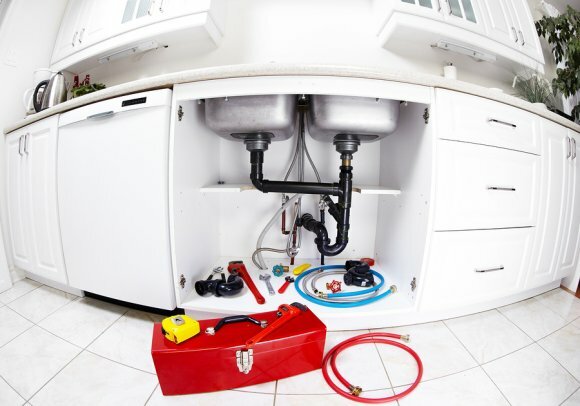 At McCoy Sewer and Plumbing , our contractors are thrilled to provide our residential and commercial clients with a full range of plumbing services. For example, we can provide you with quality drain clog repair that will help restore the function of your sink or drain. In addition, we also offer pipe repair and replacement services. Our plumbers also specialize in other plumbing services, such as frozen pipe thawing and water heater replacement. When you book a general plumbing appointment with our company, we will get to the bottom of what is troubling your plumbing system. We look forward to helping you with all of your plumbing needs. Drain cleaning is among the most common plumbing services scheduled by homeowners. When you experience a clogged kitchen sink or bathroom drain, chances are that you will want to fix the problem immediately. Fortunately, with the help of a contractor offering residential plumbing near Elmhurst , you will be able to solve your clogged drain conundrum right away. After your drain clearing has been completed, your next task will be to prevent your drains from getting clogged again. To help you keep your drains, pipes, and general plumbing system in good working order, here is a look at some essential tips for preventing clogged drains. One of the most essential ways to prevent clogged drains in your kitchen is to avoid placing liquid cooking grease down your sink. Although cooking grease is liquid when it is hot, it will quickly solidify when it is placed into your plumbing pipes. Solid grease can completely clog up your drain. To prevent this plumbing emergency, be sure to place your cooking grease in the trash. Drain screens are among your best defense against drain clogs. When you install drain screens on all of the sinks throughout your house, you will prevent hair and other particles from entering your drain and pipes. In order to make sure that your drain screens are working properly, you should make sure that they create a completely tight seal around the edge of your drain. Hot water can also be a powerful defense against clogged drains. After you use your kitchen sink, for example, it is a great idea to flush your drain with plenty of hot water. The heat of the water and the force of the flow will have the power to break up and wash away any clogging substances. Contact your plumber for more handy tips on how to prevent clogs. If you’re in need of pipe replacement or pipe repair in Elmhurst , you may need to pick out new plumbing pipes. The pipes that you choose will depend upon your budget, your personal preferences, and the function of the pipe that you are replacing. For instance, you will need a different type of pipe for gas line repair that you would if you’re placing a water pipe or performing sewer line repair. Watch this video for some great tips for selecting plumbing pipes. A residential plumbing expert guides you through the process of choosing the right plumbing pipes for your needs. If you’re in need of plumbing services near Elmhurst , you should take a few important factors into consideration. You want to find an experienced plumber who specializes in general plumbing, residential plumbing, and emergency plumbing. Here is a homeowner’s guide to choosing the best plumber for your needs. The best place to start when you’re looking for a new plumber is to ask your family and friends for recommendations. You should ask your family and friends what plumbing services they received, whether they’ve had experience hiring an emergency plumber, how happy they were with the service, whether they had any complications or problems after the services were completed, and how much they were charged. Find out if they plumber was knowledgeable, professional, and easy to communicate with. You can also ask if they would hire the same plumber again in the future for plumbing maintenance or a plumbing emergency. After you have a few recommendations for reputable plumbing services, you should look the plumbing companies up online and read their online reviews and testimonials. 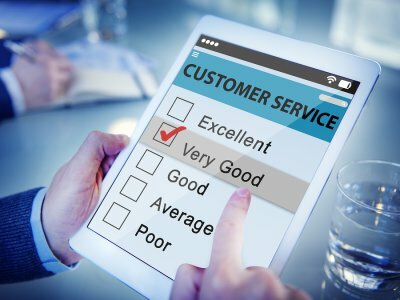 If a plumber has mostly negative reviews, or if customers keep complaining about the same problems and the plumber doesn’t address them or offer to rectify them, then you shouldn’t hire him. You should look for plumbers who have a lot of positive reviews from customers who say that they would hire the plumber again for plumbing services. You can use these online reviews and testimonials to further narrow your choices for an emergency plumber. Once you have one or two possible plumbers in mind, you should verify that the plumbers have the necessary qualifications, insurance, and licenses. You can check the website for your state’s department of public health to look up each plumber and confirm that he is meeting your state’s residential plumbing license requirements. You will also be able to find out if any complaints have been filed against the plumber for improper or shoddy plumbing services. At McCoy Sewer and Plumbing, we have been providing affordable, reliable commercial and residential plumbing near Elmhurst and the surrounding areas for more than 20 years. 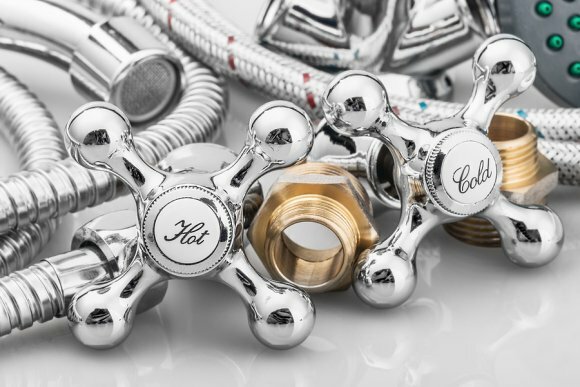 We are a family owned and operating business, and we are committed to creating and maintaining personal relationships with our plumbing customers. Our owner is involved in every aspect of our business, and oversees our on-site plumbing services, pricing, emergency plumbing quotes, and customer service. We offer emergency plumbing services 24/7, and can offer a same-day response to any plumbing emergency. Our residential and commercial plumbing specialists deliver high quality, dependable plumbing services at very affordable, competitive prices. Our team is experienced and reliable, and will perform plumbing services and plumbing maintenance correctly the first time so that you’ll never have to spend additional money on repairing shoddy workmanship. In addition to general plumbing and emergency plumbing services, we also offer sewer repair and flood control services. We’ll install a flood control system that prevents basement flooding, sewer backup, and costly water damage due to frozen pipes or burst pipes. Our sewer repair and replacement services include pipe repair, drain cleaning, and sump pump repair.